OLF is an organization established in 1973 by Oromo nationalists to culminate the uncoordinated resistance by brave sons and daughters of Oromo people against colonialist hegemony as well as oppression and suppression of the Oromo people and their culture and to promote self-determination for the Oromo people against “Abyssinian colonial rule”. The birth of the OLF was a turning point in the history of Oromo people’s struggle for freedom. Now, nationally and internationally the Oromo people are intensifying the struggle for its rights more than any time in the history of the Liberation struggle. Our struggle is now transforming from limited sector of the nation to the popular revolution. The OLF articulated the Oromo national question and skillfully set the target for the Oromo national struggle. 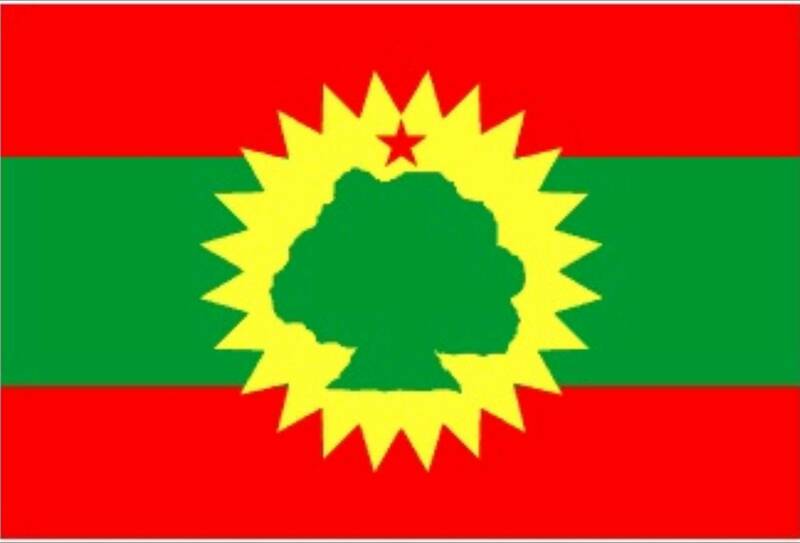 As an organization the OLF deserves all the credit for almost all political gains achieved by the Oromo people. Why the OLF is the immune system of the Oromo people? Firstly, what is immune system? The immune system is made up of a network of special cells, proteins, tissues, and organs, defends people against germs and microorganisms every day in order to keep people healthy and preventing infections. The immune system is the body’s defense against infectious organisms and other invaders, through a series of steps called the immune response, the immune system attacks organisms and substances that invade body systems and cause disease. Challenge of our history: The Oromo peoples believes that we have to confess our past history to build a better future. There are times in our lives when we have to realize our past is precisely what it is, and we cannot change it. But we can change the story we tell ourselves about it, and by doing that, we can change the future. Nations are able to manage their political and social disputes peacefully, without lapsing into conflict, or sustain economic growth without creating huge inequalities, critically depend on the quality of the relevant national institutions. Support the principles of democracy such as the forming of government based on the will of the majority, respect for the rule of law, and respect for basic freedoms. Colonizers are working to divide and rule while the oppressed nations are fighting for unity. Detecting the enemy plan and tactic in order to expose to the public and preparing action plan. Attacking the enemy plan and distracting their goal in order to empower our peoples struggle and oppressed nations for freedom. Strengthen our partners by empowering the oppressed nations. To give you an example, forming Peoples Alliance for Freedom and Democracy (PAFD). PAFD – a pan-Ethiopian alliance founded in October 2015 – to European policy-makers and other interested parties. To that end, representatives of PAFD presented the alliance’s goals and guiding principles and provided updates on the deteriorating human rights situation in Ethiopia. Mr Abdirahman Mahdi, the PAFD International Relations Bureau, drew attention to the opportunities that PAFD can offer and elaborated on why it is only through the concerted effort of all of Ethiopia’s suppressed groups that democratic change and freedom for all Ethiopians can be brought about. Dr Baro Keno Deressa, in turn, gave a chilling account of how the Ethiopian government continues to harass, forcefully disappear, torture and kill ordinary Oromo People, Ogaden people, Sidama people, Gambella and Benishangul peoples and other oppressed nations in Ethiopian Empire with impunity, stressing that urgent action and strong alliances are needed to put an end to the immense suffering of Oromo’s and other Oppressed nations in Ethiopia Empire. highlighted the importance of giving a voice to the voiceless and reiterated their commitment to support the Oppressed peoples. confirms the significance of alliances such as PAFD in order to overcome further crisis. Other influential delegate underlined urgency of the situation in Ethiopia. Nobody has right to tell us about peace because we Oromo people are nation of peace, nation of democratic rule, nation of justice and equality. We are always against all injustices and we are ready to defend all kinds of violations. Nobody has right to tell us about generosity, because we are nation of love. We have helped and supporting innocent nations of Amhara’s, tiger’s when they come to our country to collect coffee or to work in the agriculture sector, we have treating them when they were sick, we have respected them as equal human being despite their social status, we are loving them us our families not as strangers. Nobody has right to tell us about patriotism because we have nation of heroes, for century long there is no Ethiopian colonial rule survive without the patriotic act of Oromo sons and daughters. But our price was humiliation and death “when it comes to power and money Oromo’s are the last to touch the desk and when it comes to the human-right and equality Oromo’s are the first to be victim of the system”. Now, when we say it is enough and it is time to build my country Oromia and regain my right as human being, individuals or groups with colonial system and mind have to setback and respect the demand of oppressed nations. Refusing this fact and try to create all kinds of analysis, tactics and strategies will leads the Ethiopian Empire, horn of Africa and world in general to the hell of 21st century. OLF recognize the critical role of empowering ourselves in order to keep up with the rest of the world and more importantly to keep pace with our enemies, implement proactive initiatives for adapting strategic and tactical approaches in order to bring effective solution. In order to facilitate the faction of our immune system-OLF, I call, To the Oromo people, to the Oromo intellectuals and to the Oromo political Organizations, dear brothers and sisters supporting and strengthen OLF means empowering our peoples struggle, promoting our goals and eradicating colonization.